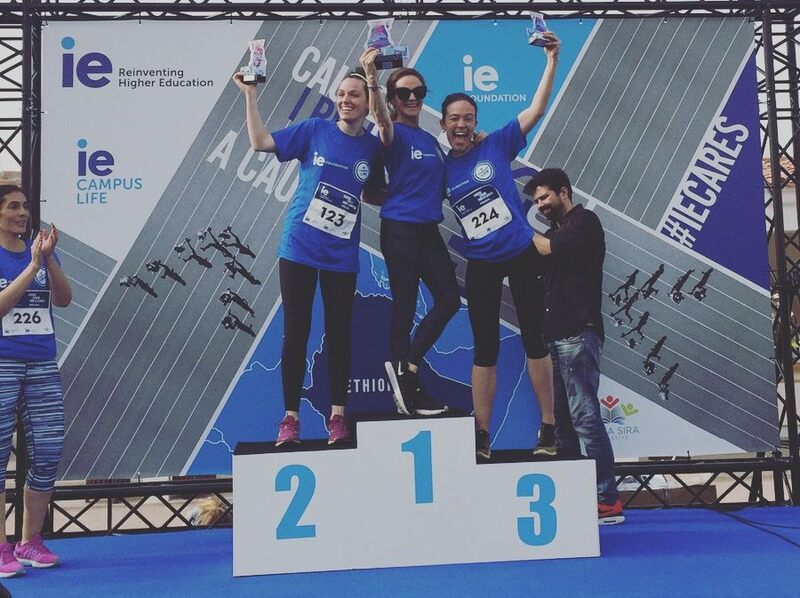 This past Saturday, April 21st, over 600 members of IE Community – runners and non-runners, staff, faculty, students, alumni and their families and friends – gathered at the Hipódromo de Zarzuela to participate in the inaugural #IECares Race! 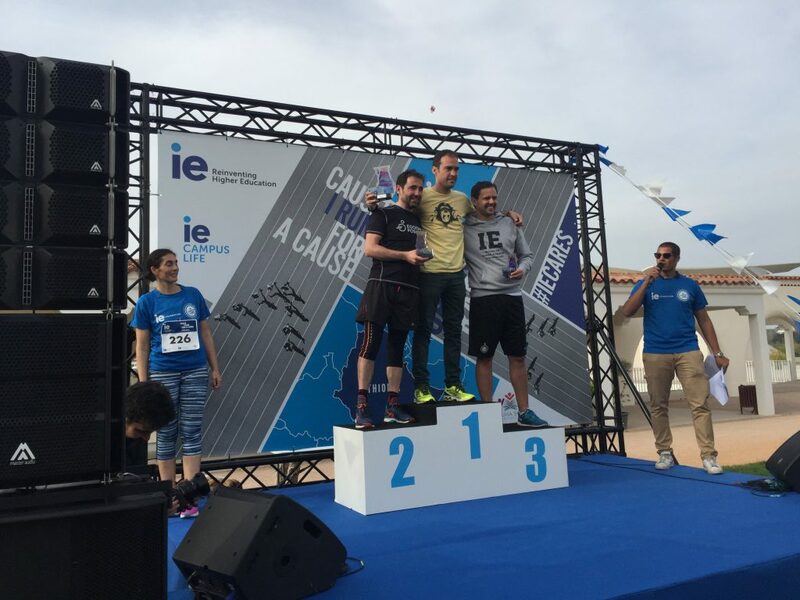 Thanks to all the donors and the IE Foundation who matched every euro collected, we were able to reach our goal and will donate 12.105€ to the Wuha Sira Initiative created by IE’s professor Gayle Allard! We would also like to extend special thanks to IE Alumna Michelle Raymond and undergraduate students David Fahraeus and Jacob Axel Peter for performing at the event, and to Tesla for their collaboration! Our warmest congratulations to Yolanda Regodon, Sara Hazzard and Daniela Peinado for winning in Staff Feminine and Victor Cantavella, Rafael Gonzalez and Andrea Longaretti for winning in Staff masculine categories! We would also like to congratulate Aloña Martiarena Arrizabalaga and Grace Obado for winning in Faculty Feminine and Joe Haslam, Matan Ganani and Juan Pedro Gomez for winning in Faculty Masculine categories! 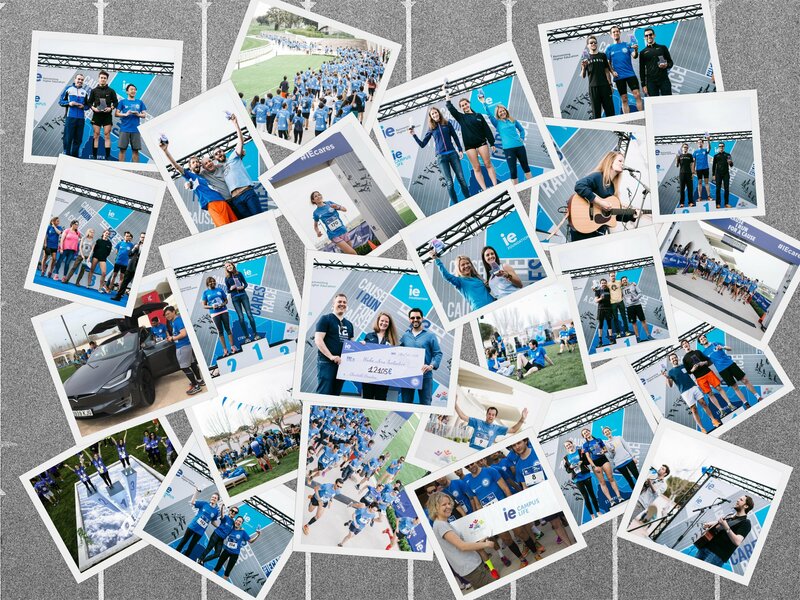 We really felt the #IESpirit at the event and we hope to see you all in the next editions.